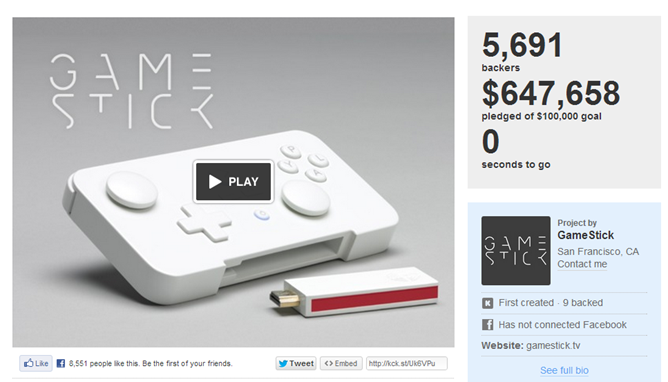 GameStick, the Kickstarter project that promises to "put big screen gaming in your pocket," has seen controversies, redesigns, and other fun things during its 30 day funding period; but alas, that time has come to an end and now there's work to be done. Lots of work, in fact – the funding was met with incredible fervor, with the project closing at 648% of the original $100,000 goal. As mentioned earlier, the design you see above is far from the final look of GameStick, which underwent a full redesign close to the end of the campaign. The "new" GameStick is far more ergonomic, has a custom charging dock and microSD card slot, and more. Basically, the minds behind the project listened to backer feedback and, in turn, provided the options that were most often requested. But it hasn't been an entirely smooth ride for the company, either – not long ago, the project was briefly put on hold and hidden from public view due to an intellectual property dispute. Fortunately it was nothing more than a problem with their promo video and was easily edited out, putting the project back in full force in less than a day's time. I'm sure there were some people sweating bullets for a couple hours over at GameStick HQ, so we're glad it all worked out. And here we are today, with the project closing out with a massive $647,658 home run. It's set to ship to customers' doors in April of this year, so all the early adopters only have a few short months to wait to give this baby a shot. 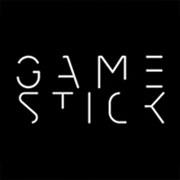 Until then, you can keep up with all the latest on GameStick's Facebook page or website.